The room was badly lit, not good interiors, as not good room locking facilities. Very good hotel, helpful staff... good comfortable rooms..
over night stay was good. calm. simple room. simple breakfast. affordable. value of money. Good place for stay. Value for money. a lot of shops and market is closeby. The staffs were very friendly and helpful. Good value for money. Only good location.. beside that all bad. For overnight's stay the hotel is fine. Breakfast is just average. Towels are not very clean. 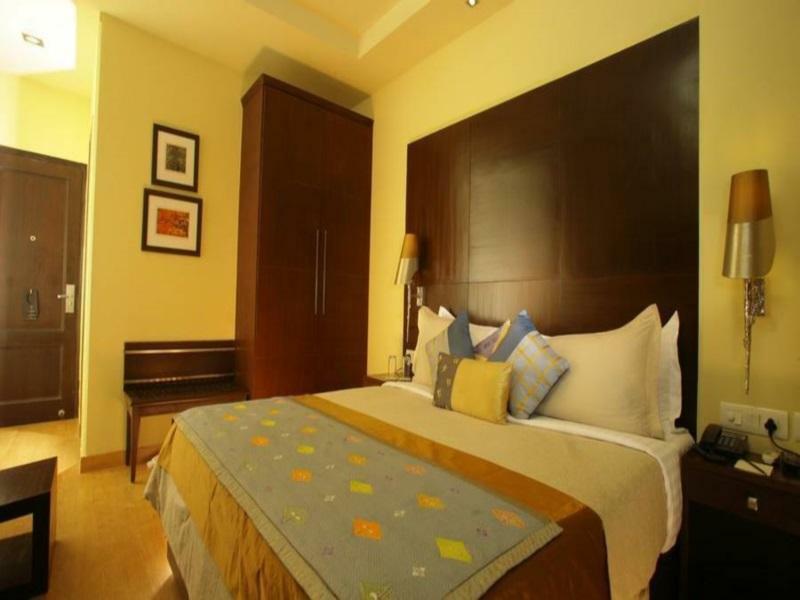 Bed mattresses, Room lighting and acoustics are very good that upto 0830 Hrs I was sleeping. Cleanliness was stellar. Rooms were cozy and the beds were comfortable. The staff were very accommodating of our every needs. Breakfast was quite decent at the hotel. The only downside was the WiFi authentication system. I had to ask for password every 24 hours as the WiFi password was., by default, allocated only for 24 hours, not for the whole period of stay at the hotel. I hope the management will tweak the system to allow for that. 1st of all....quite disappointing that the pictures are very old and the place needs a makeover. If you are from the Western world...this is not acceptable, but I see the review are mostly not from this part of the world. We expect more from our hotel stay than what was offered. curtains half way up and half way down. Floors with dusk in corners, sheets very stained to the point that I used my blanket from the flight to sleep. Did not dare look at the mattress. The center of mattress was too soft for me, had to put my feet where the head is suppose to go. We had 3 rooms and the place was referred by the tour company....well it was not my standard. The people were very nice and very accommodating. I talked with the manager on the last day about my review and shared with him the little details were just overlooked. Maybe to get a woman to do a thorough cleaning and then men to maintain. I find men don't look at details. Why would you not hang the curtains properly....because no one mentions it? If your customers are not accustomed to neatness maybe they overlooked them. I could not and this was the situation in 2 of the 3 rooms that we had. The location was great for Block M or whatever to shop and purchase some food, but this was all. There were several small hotels on the same block that appearred from the outside to be better, but I did not go inside. Will not return to this location for a decent hotel....probably not possible in New Delhi. All the 4* and 5* hotels according to western standards were near the airport and we wanted to be in a neighborhood location. So we sacrificed, but a great misprint online....place is NOT WHAT IT SEEMS TO BE WITH THE PICTURES....DON'T BE FOOLED. close to Krishna temple and lotus temple. high end place in delhi. bathroon facility can be better. Tv channels were limited and sometimes didnt work. overall quite decent stay. they were very kind to give us a late check out. We stayed here after a night at the Glitter Hotel down the road, and found the Glitter to be a much better value. It was a nice hotel, but the Glitter had much more attentive staff, free wi-fi, and was close to 1/2 of the price. The room and shower at the Glitter were not as decorated as the Justa, but were equally as nice. The taxi service which the hotel offered for an early morning airport departure was 1,000 Rupee over the price of a private taxi hired. Not a bad stay, but would have stayed 2 nights at the Glitter had I known! pleasant and helpful but could have benefited as a first time india traveller from an offer of orientation to delhi ie tips and tricks. Its a small hotel hardly visible from the road. But its on a key street and so not difficult to find. I stayed over a night and found the room to be very well appointed. 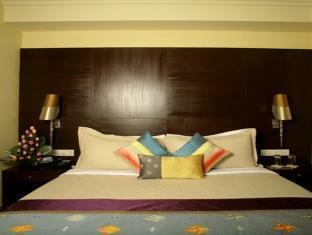 The bed and furnishings were well very comfortable, bathrooms quite modern and furniture quite contemporary. The morning breakfast buffet spread was decent unlike many Delhi hotels. Didnt get to experience much of service otherwise as I had a short stay. Annoying factor was there was some construction work happening right outside my room when i checked in the evening. great location, large rooms, good service and a nice spread for breakfast. couldn't help with car hire and decor could have used a touch up. all in all not too bad. Very comfortable hotel, friendly and helpful staff. Great location , close to all shopping areas and easy access to most facilities i.e transportation, banks. สถานีรถไฟใต้ดิน Kailash Colony - ระยะ 0.73 กม.